Many SAT math questions involve the use of integers, especially in the early and middle ranges of each math section. This means that integers are a foundational element to SAT math and you should have a solid understanding of what integers are and how they work if you want to do well on the SAT math section. This guide will cover the basics of integers--what they are, how they relate to one another, and how you’ll see them on the test. For the more advanced integer concepts (including prime numbers, absolute values, exponents, and roots), check out our advanced guide to SAT integers. An integer is a whole number. This means an integer is any number that is NOT expressed via a decimal or a fraction. Integers include all negative whole numbers, all positive whole numbers, and zero. Think of integers as something you cannot split. 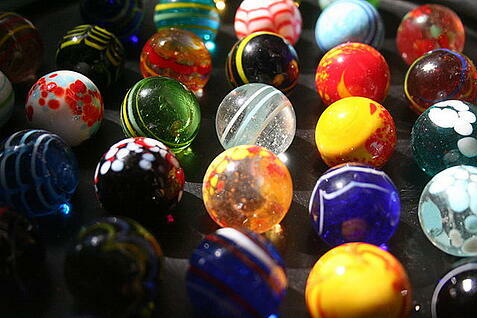 For example, you cannot have half a marble in a box (unless you are either very strong or very careless). A number line is used to demonstrate how numbers relate to each other and to zero. All numbers to the right of zero are positive numbers. All numbers to the left of zero are negative numbers. For example, 154 is larger than 12 because 154 is farther away from zero along the number line in a positive direction (to the right). For example, -154 is SMALLER than -12 because -154 is a farther away from zero along the number line in a negative direction (to the left). A positive number is always larger than any negative number. Most SAT integer questions are a combination of word problem and equation problem. The testmakers will tell you that the problem involves integers by explicitly using the word "integer" in the passage. You will then be asked to solve a given equation or identify whether or not certain equations are true. You must know that an integer means a whole number (and that integers include negative numbers and zero) to solve these problems. We will go through the rules of how integers behave with one another in order to make sense of these kinds of questions. Sometimes you’ll have to answer more abstract questions about how integers relate to one another when you add, subtract, multiply and divide them. You do not need to find a numerical answer for these types of questions, but you must instead identify whether certain equations will be even or odd, positive or negative. There are two ways to go about solving these kinds of questions--you can either memorize how integers interact, or you can plug in your own sample numbers. For example, in the charts below, you'll see that: $\a\positive\number * \a\positive\number$ will always result in a positive number. If you forget this rule, you can always try it by saying $2 * 3 = 6$. By understanding these rules (and/or by testing them out using your own numbers), you will be able to answer more complicated theoretical questions. 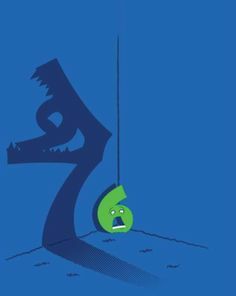 Why is six afraid of seven? Because 7, 8, 9! 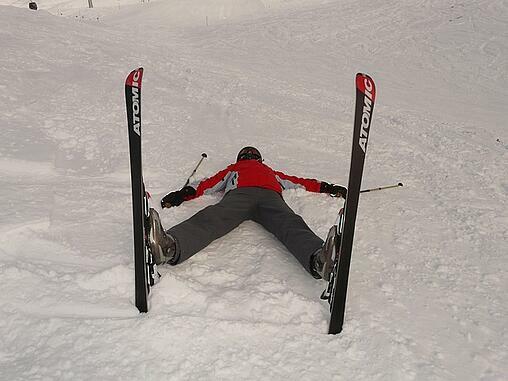 Hardy-har-har. Choice A is incorrect, because b is an even integer. And we know that an even number * an odd number = an even number. 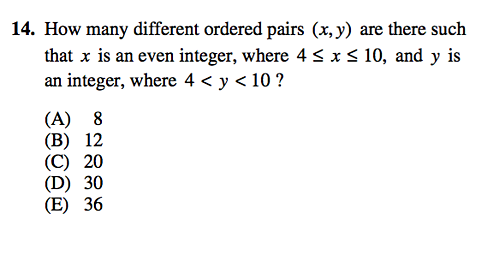 Choice B is incorrect because a is an odd integer. And we know that an odd number + an odd number = an even number. 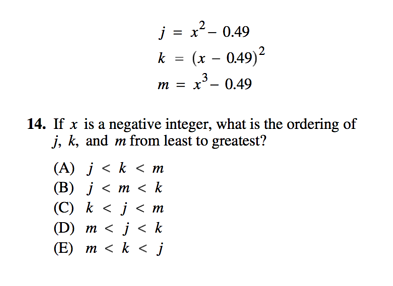 Choice C is incorrect because a is an odd integer and b is an even integer. An even number + an odd number = an odd number. And an odd number * an even number (in this case 2) = an even number. Choice D is correct. Twice b will be even, because an even number * an even number = an even number. And the final result will be odd because an odd number (a) + an even number (2b) = an odd number. Choice E is incorrect. Twice an odd number (a) will be an even number, because an even number * an odd number = an even number. And an even number + an even number = an even number. So your final answer is D, $a + 2b$. You can see how you could also solve this by double-checking these rules by using your own numbers. If you assign an odd number to a and an even number to b, you can test out each option in about the same amount of time it would take you to go through your rules like this. Again, because you can figure out these kinds of questions using real numbers, these rules are classified as "good to know," not "necessary to know." 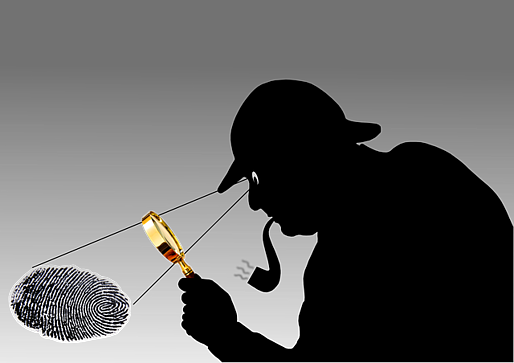 So let's look at how to put all the clues together to solve integer questions. 1) Identify if the problem is, in fact, an integer problem. 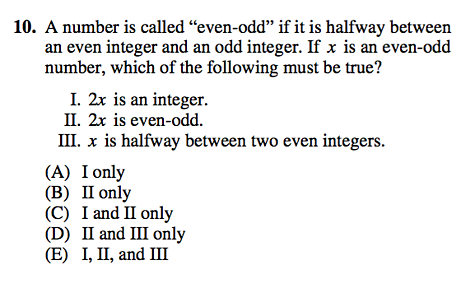 The SAT will always explicitly use the word "integer" to let you know if your answer must be in integers or if you can only use integers while solving the problem. For any problem that doesn’t specify that the variables (or the solution) are “integers," your answer or example numbers can be in decimals or fractions. Because the problem specifically uses the word "integer," we know we must only work with whole numbers. 2) If the problem asks you to identify equations that are always true, test out multiple different kinds of integers. If the question asks you to identify whether certain equations or inequalities are true for ALL integers, the equation must work equally with 10 as with 0 and -5. A good rule of thumb is to try -1, 0, and 1 with variable questions like these. These numbers often have special properties that make or break conditions. I'll explain what that means with a practice example. If x is an integer, which of the following equations MUST be true? For questions like these, we should test out our sample numbers, as it can get confusing to use our rules of integer behaviors with complex problems such as these. So for option I, let use our test numbers of -1, 0, and 1. -1 is NOT greater than +1. This automatically eliminates option I. And by eliminating option I, we can eliminate answer choices A, D, and E right away. Now let's look at choice II with our same test numbers. This means that option II works so far when we use a negative number. So let's try it with our positive number, 1. So option II still works. Lastly, we should test if the equation still works with 0. Option II works for all answer choices, so our final answer is B, II only. Because we know that option I does not work, we have eliminated all other answer choices. But if you want to make absolutely sure you did not make a mistake somewhere, you can test out option III as well. The two are equal, which means that option III works so far. Now let's try it with 1. When we used a positive number, the equation was incorrect. This means that answer choice C is eliminated and our choice of B has been confirmed to be the only correct answer. 3) If the problem asks you to find the answer to long calculations, use your rules that you learned above or test it out with smaller numbers. a, b, c, d, e, f are odd integers such that a > b > c > d > e > f. Which statement(s) must be true? Now you can approach this problem in one of two ways: by using your number rules or by using your own numbers. First, let's use our number rules to test option I. We know that each letter represents an odd integer and that the product of an odd number and another odd number is an odd number. Because an odd * an odd will always be odd, we know that option I is true. This means we can also eliminate answer choices B and C.
Now let's look at option II. We know that an odd number + an odd number = an even number. We also know that an even number + an even number = an even number. So if we split a + b + c + d + e + f into pairs of numbers, we'll have (a + b) + (c + d) + (e + f). an even number + an even number + an even number, which will give us an even final result. So option II is incorrect. This means we can eliminate answer choice E.
Finally, let's look at option III. As we saw before, when we have six odd numbers (in other words, an even number of odd numbers), the sum will be even. Now, our parenthesis holds five (an odd number) of odd numbers, and an even number + an odd number = an odd number. So we know the number in the parenthesis will be odd. We also know that an odd number (a) * an odd number (the sum of b, c, d, e, f) = an odd number. So option III is correct. This means that our final answer is D, I and III only. The other way you could solve this problem would be to test out these rules with small numbers and extrapolate to find the larger answer. In other words, use small numbers in place of the variables. So for option I, if you didn't know an odd * an odd = an odd, you could replace a and b with the numbers 5 and 3. $5 * 3 = 15$, so you know that an odd * an odd = an odd number, no matter how many times you multiply it. So option I is correct. For option II, again test it out with smaller numbers. $7 + 5 = 12$, and $7 + 5 + 3 = 15$. So you know that adding odd numbers an even number of times gets you an even answer and adding odd numbers an odd number of times gets you an odd answer. There are six odd numbers, so the final answer must be even. Option II is incorrect. Taking what you learned by testing option II, you know that adding odd numbers an even number of times gets you an odd answer. And, taking what you learned from testing option I, you know that an odd number * an odd number = an odd number. This means your final answer must be odd, so option III is correct. This means the final answer is D, I and III only. Always remember that there are several ways to solve integer problems. So use real numbers and don't give up if it looks too complicated. Simply by understanding what an integer is, you will be able to solve many SAT questions. Integer questions are often fairly straightforward if you know what numbers are included in the definition of an “integer” and which are not. 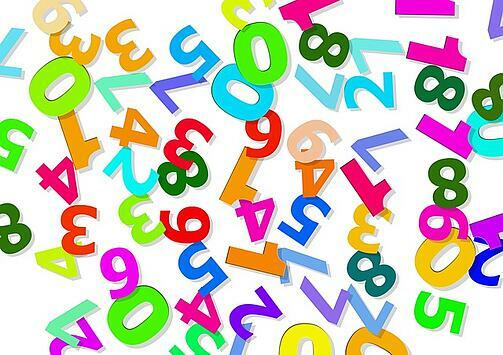 If you remember to experiment with your own numbers when presented with the more abstract SAT questions and pay attention to when you must use integers and when you’re free to use any number, you will be able to solve most of the basic SAT integer questions. For the more advanced integer concepts--absolute values, exponents, etc.--be sure to check out our advanced guide to SAT integers. Now that you’ve learned about what integers are, you may want to check out the advanced guide to SAT integers where we will go through absolute values, prime numbers, and exponents (among other concepts). Make sure that you also have a solid understanding of all the SAT math formulas you're both given and not given. Running out of time on SAT math? Check out our article on how to buy yourself those extra precious seconds and minutes and complete your SAT math problems before time’s up. Feeling overwhelmed? Start by figuring out your ideal score and check out how to improve a low SAT math score. Already have pretty good scores and looking to get a perfect 800? 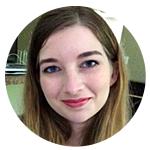 Check out our article on how to get a perfect score written by a perfect SAT-scorer.